Vegan Travel Interviews: Where in the world did you discover your best meal/vegan find? Travel blogging has occupied a lot of our time recently. We've been lucky enough to live and work in the UK on YMS visas which has allowed us to get decent paying jobs as well as enough holiday time to take advantage of the cheap travel deals you can get from the UK. As we've got more immersed in the travel blogging world we've discovered lots of other travel bloggers making their own way. Each blogger has their own personality and method. There are tons of people with advice to share on their own experience and you can learn a lot to help plan your own travels which is why we decided to interview a few vegan travel bloggers. With the rise in vegans every year, we think it is important to share any information out there to help people love their vegan lifestyle. 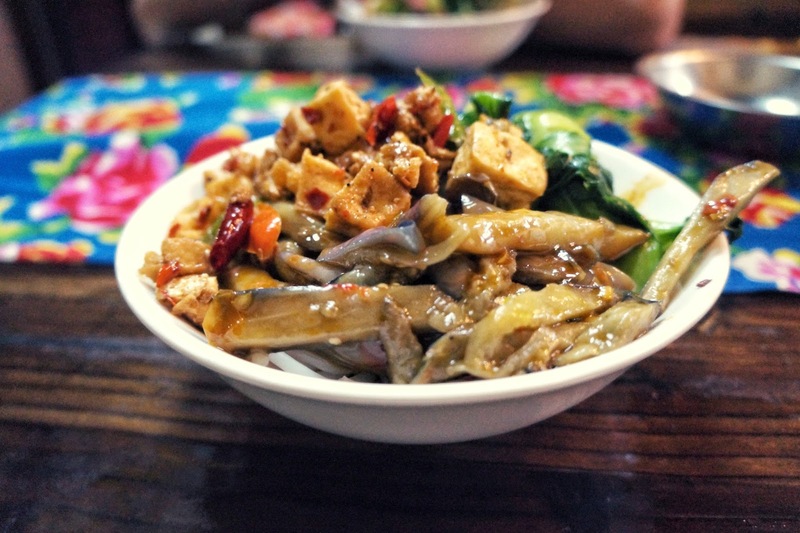 We wanted to find out why these vegan travel bloggers are travelling, why they went vegan and most importantly where in the world they found their best vegan meal! We were super excited to get the response that we did and hope you enjoy reading these interviews. Make sure to check out their blogs and follow them along on their travels. Cathy McLellan, As creator of Vegan On The Go! I wear many hats, mother, wife, team member, grandmother, aunt, sister, vegan, friend, gardener and lover of the outdoors! A vegan for 7 plus years with a passion for cooking and sharing vegan friendly food with my friends and family, and now with you. For me, being vegan is the right thing to do. Health, environment and for the animals. For work, I travel across Canada; for fun we travel internationally. It’s always a bit of an adventure as a veganonthego, trying to find food that is vegan, tasty and healthy too! The cool thing is there are a lot more options each year. When we travel internationally, we love to create our own healthy vegan food with all the beautiful local fruits and veggies. At home, I live a busy lifestyle and want to create food that is healthy, delicious and easy to make. I find great joy creating vegan food for my family and friends. Eight years ago, I committed to the vegan lifestyle for the health of our family, the environment and most of all for the animals. I couldn’t kill an animal, so how can I eat one or ask someone to kill one for me by going to the grocer. I believe a plant based vegan lifestyle can address many health and environmental challenges; going vegan is a peaceful way to really make a difference. Where in the world did you discover your best meal/vegan find? On our recent trip to Cambodia and Vietnam we had an amazing stay at a small boutique hotel just outside of Hoi An. We stayed for a week at this beautiful country oasis called The Green Boutique. During this time, our host and chef created 30 unique Vietnamese influenced dishes that he veganized just for us. What a journey of flavour and adventure. We loved every bite! Alternative Travelers is Sam and Veren, a couple from NYC that explores the world on a low budget and in an alternative and sustainable way. We prefer to slow travel and do so through creative cost-saving methods like housesitting, which helps us make meaningful connections everywhere we go. We started Alternative Travelers to show that neither traveling nor eating vegan has to be expensive or difficult and that life can have as many options as you have imagination. We’re currently living in Madrid, Spain, having moved here for work and the opportunity to improve our Spanish. We write about alternative ways of traveling and eating vegan on a budget. 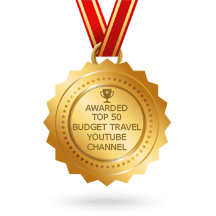 We travel mostly via house and pet-sitting, which we love as we get to take care of adorable pets, meet great people, feel more like locals, and save money while exploring a new city. Summing up why we went vegan is hard to do in such a short space especially because our personal journeys to veganism have been different. But overall it intellectually just makes the most sense as a way to live, for our health, for the environment, and for ethics. We’ve actually both found that it is easier to be vegan than not. We’ve had some truly fantastic vegan meals on our travels, but if we had to pick just one it probably came when we were housesitting in Salt Lake City for four months. 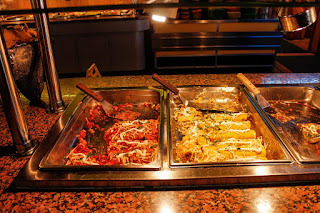 We were surprised to discover an amazing vegan scene in Salt Lake City, with a vegan French pastry shop, a vegan Vietnamese restaurant, a delicious vegan sandwich shop and more, but the icing on the proverbial vegan cake was the all vegan Mexican buffet. 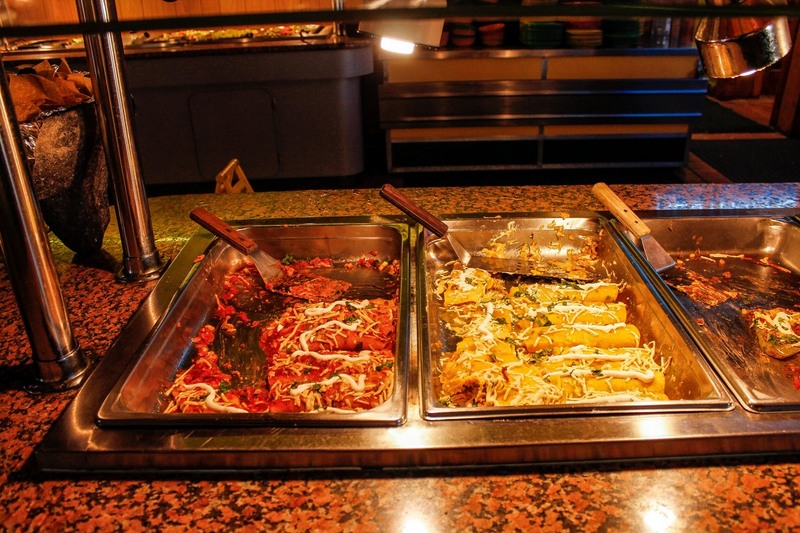 This long-standing traditional Mexican restaurant, Mi Ranchito, has a vegan buffet on Friday nights and we stuffed ourselves silly on authentic Mexican food made vegan. What made the meal even better was that we got to share it with the very sweet and humble guy who runs the buffet, Victor, who was incidentally named PETA’s Sexiest Vegan a few years ago. We can’t wait to go back some day as we dream about the food often! Gwen and Katie at www.2healthyfitvegans.com are as their website states '2 Healthy Fit Vegans'. This could not be more apt a title for the two of them. They have a focus on health, fitness and nutrition. "We invite you to join us on our adventures by following us on YouTube & Instagram, or become part of our team at www.Patreon.com/2healthyfitvegans"
We travel because we love life. We love experiencing different ways of living life and traveling allows us to do that. It also allows us to see life differently and ever expand upon the way in which we do all of this. Traveling gives us the opportunity to feel so grateful for everything we have while giving us inspiration to dream up new realities we did not know existed before. This is what drives us and all of our adventures, it's what we do and we hope to inspire you to find this spark inside of you. Because we love life, all life and we realized that our actions have the opportunity to either take lives and host suffering, or allow others to thrive and promote love. We chose love and life. On board a Sea Shepherd Ship sailing on our way to Antarctica. Sea Shepherd Conservation Society is a non-profit that actively protects marine wildlife using ships. Their ships are crewed with volunteers (us) and all the meals served and food, items onboard are vegan. This is where we were both first exposed to the amazing wonders of high quality vegan cuisine! If you ever get a chance to volunteer for a life changing opportunity, join one of their campaigns and you will get a chance to experience the most amazing vegan food ever, served 3 times a day! I was bitten by the travel bug at a very young age, and my husband and I spent several years backpacking around the world when we were younger. In 2010, we thought we were ready to settle down and live a “normal life”, so I took a respectable office job and we got a mortgage and did all the usual grown-up things. In turns out, we weren’t ready for normal life after all! And I don’t think we ever will be. We are now preparing to move our home base to Portugal and take up a semi-nomadic way of life, travelling about six months of the year. I listened to an online summit hosted by the Food Revolution Network, where John and Ocean Robbins interviewed many experts in vegan living and plant-based nutrition. The interview I remember the most was with Alicia Silverstone, my teenage idol. Whereas most of the interviewees focused on health, Alicia talked about the animals and all the horrors they go through. A few days later I found her book, The Kind Diet, at a used book sale, and picked it up on a whim. It was a gradual transition, but within a few months I was fully vegan. There have been so many! A recent standout is Rifugio Romano – a restaurant in Rome that serves vegan versions of many of the classic Italian dishes. Laura is one half of a travelling vegan couple, Laura is on a mission to see the world and collect vegan recipes along the way. You can find her at Plant-based Nomads. I started travelling when I was 20 after I had an amazing experience living abroad in South Africa. I originally intended to spend three months backpacking through India before returning home to start university. However, I never actually stopped travelling and instead started a distance learning degree. Travel can teach us so much, especially when we stop focusing on what's different about the 'others' and instead see that we are all essentially the same. This realization is also why I became vegan. Human and non-human animals alike can suffer, have a right to live life on their own terms and were not put on this planet to serve us. I think when you open your eyes to the cruelty of animal agriculture it's hard not to go vegan. And while travelling while vegan definitely has its challenges, there's also incredible vegan food all around the world. 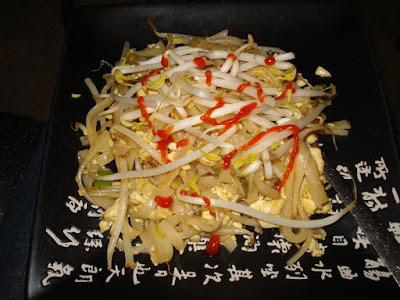 My favorite food was definitely in China! I don't have a specific favorite dish, but there was an amazing all-you-can-eat buffet-style restaurant in Kunming that served the most delicious (and spicy) food I've ever tried. Caryl and Paul run Vegan Food Quest, where they write vegan travel guides, blog about their vegan travels and will tell you about some amazing places where vegan travellers are well looked after. They specialise in vegan luxury travel where they test out dream destinations, resorts, hotels and restaurants that are vegan friendly. When they aren’t travelling you can find them in Cambodia where you can stay with them in their Vegan Airbnb. Follow them on Twitter Facebook and Instagram for real life vegan travel updates and pictures a lot of really delicious vegan food. We’re travelling because we love exploring the planet, visiting new places and finding new vegan food in each place we visit. We’re lucky that were able to travel full time until we decided to make our home in one of the world’s most visited travel destinations, in Siem Reap in Cambodia, right near Angkor Wat. We’re vegan because we don’t believe in eating animals or causing suffering just for our pleasure or convenience. We are also concerned about the damage being done to the planet and so chose veganism as a way to have less of a negative impact on the environment. It’s nearly impossible to pick our favourite vegan meal or dish as we’ve eaten so many on our travels however, this ‘Almond Resin’ from the beautiful (and very vegan friendly) Soneva Fushi in the Maldives was one of the nicest things we ate on our recent trip there. 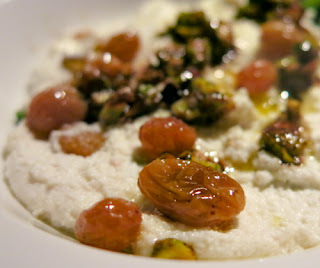 Think nutty, creamy and tangy all at the same time with jewels of sweetness and crunchy delicious pistachios, then imagine eating it in a open air restaurant high up in the treetops with bats flying past like they don’t have a care in the world. Laura Cody has been travelling the world full-time for the past three years. She loves kickboxing, photography and hummus. Check her out at Vegan vs Travel. My finance and I started travelling three years ago - we had a gap year in Australia, caught the travel bug and became digital nomads. I only became vegan this year: a mixture of seeing cruelty to livestock in South East Asia and no longer being able to forget that this happens every day in the Western World too (just behind closed doors); watching the film Earthlings and reading a vegan blog post (Justin Plus Lauren) and not being able to disagree with a single point!! In Bangkok at Veggie May Veggie Home - despite it's slightly misleading name this place is 100% vegan and 100% delicious. 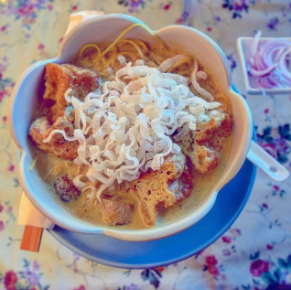 They make a lot of authentically Thai meals and I had the best Tom Yam and Pad Thai I've ever had. As you can see there is no one way to be a vegan travel blogger. Each of these bloggers has quite different styles but they have at least two things in common: they love vegan food and they love to travel. 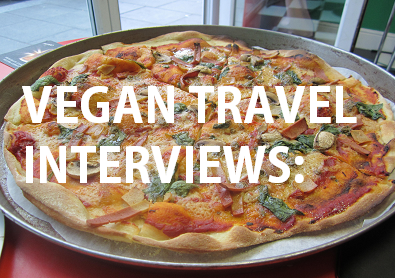 It was lots of fun putting together these interviews showcasing the different styles of vegans, travellers and bloggers. 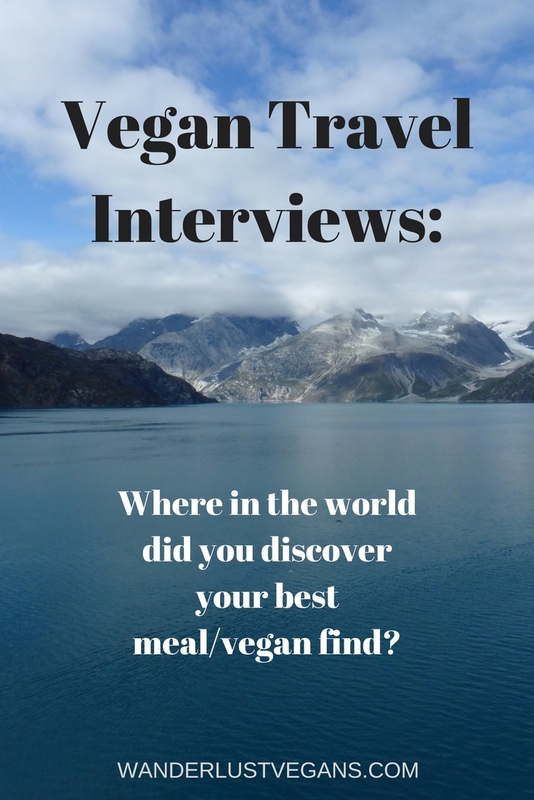 If you are a vegan traveller and would like to be included in our next mini interviews or star in a post on your own with more elaborate questions on your vegan travel lifestyle please email us at wanderlustvegans@gmail.com for more details. I'm not vegan, but all this food looks amazing. I'm glad vegans are able to find something they can eat while traveling. All the food looks delicious. Veganism is definitely a growing movement. I have a friend who likes to cook vegan food and enjoys trying new things (so do I, this photos look yummy) I'll link this to her right away! Great interviews guys. I really liked one of the explanations: "We chose love and life". It's so simple but powerful. Props to people who can be vegan, really! I know I would not be able to do it. It gets easier over time. 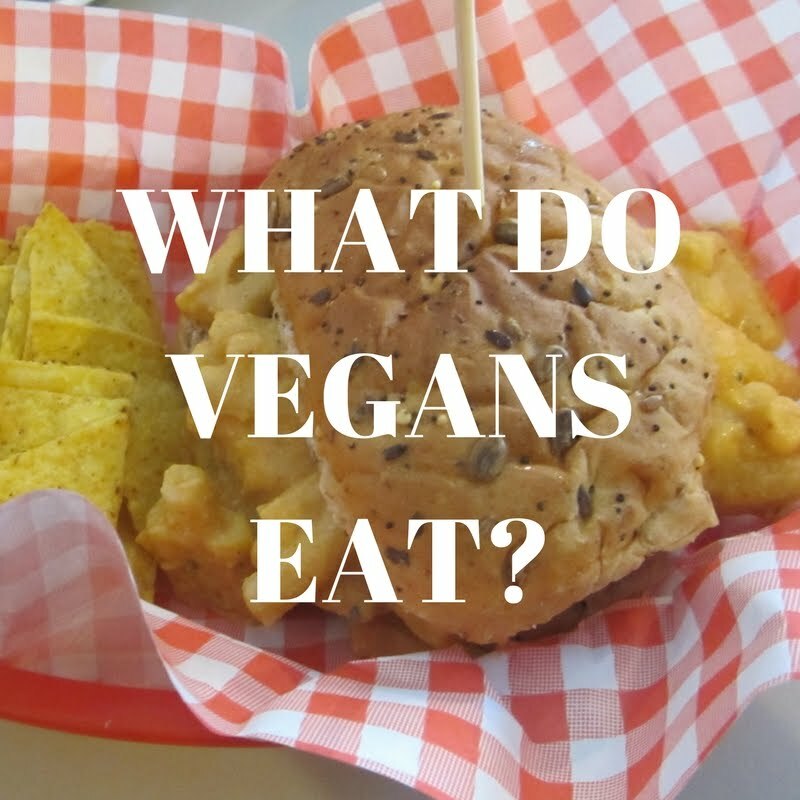 We find it easier for be vegan than not! I know very few people that are vegan. These dishes look amazing though. They all look amazing, don't they! Mildreds is a good vegan restaurant in Soho I would recommend their coconut cream rasberry pavlova which is dairy free. Its great to see what motivates people to become vegan. We will put it on our list! Thank you. I personally am not a vegan but this food looks amazing. There needs to be more of this out there so others can see that they really can be vegan and be fulfilled by it. Some of the most delicious food we have had was vegan. I am not vegan but I love all these dishes , they looks delicious!! They do don't they! I've added them too our food bucket list. I have yet to travel as a way of living and become a vegan at the same time! Interesting lifestyles! Glad you enjoyed reading the emails. Wow! I never would have thought there were so many Vegan Travelers. Not sure why but just didn't. The food looks amazing though. There are even more too! These are just a handful. I love seeing that there are so many vegan choices out there. I am not vegan but I would eat this food anyways! Vegan food is the best. I am not a vegan but I don't mind trying vegan friendly dishes. All of these look great to me. I would be willing to give them a shot. They all look delicious don't they. Whole I'm not vegan these do look amazing! Way to make my mouth water! I wish I was eating them now! Glad you enjoyed the post.